SCVHistory.com JD1802 | Heritage Junction | Jo Anne Darcy Collection: 10 Antique Glass Bottles. 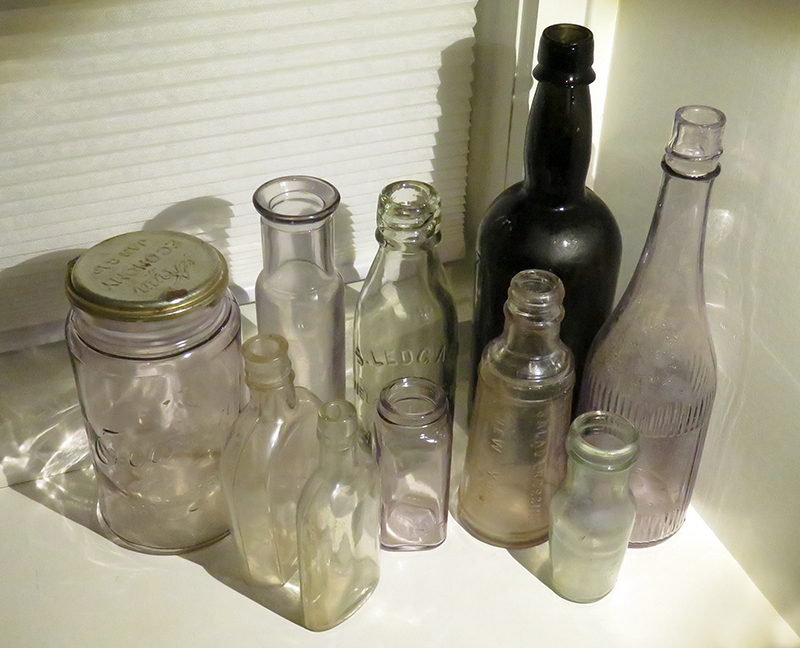 Ten glass bottles (actually 9 glass bottles and 1 mason jar) from the collection of Jo Anne Darcy, donated 2018 to the Santa Clarita Valley Historical Society by her daughter, Joleen Darcy. "Curtice Brothers Co / Preserves / Rochester, N.Y." Early 20th-century ketchup bottle that would have had a label, "Blue Label Ketchup." "E.R. Durkee & Co. / Salad Dressing / New York." 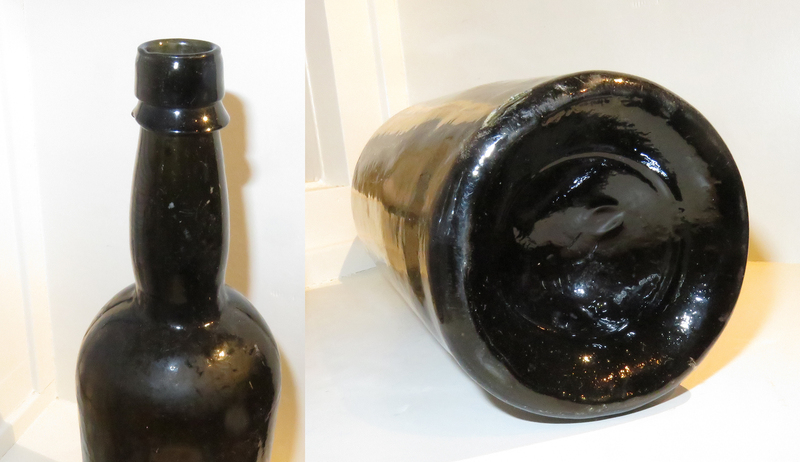 Bottom reads: "Bottle Patented April 17, 1877." "S. Ledgard / Nelson Hotel / Armley." A small beer bottle from Yorkshire, England. JD1802: Items donated to the SCV Historical Society by Joleen Darcy, 2018.